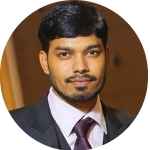 Monish is a co-founder & heads the iOS design and development team. A product of Just Apps Pvt. Ltd. Copyright © 2019-20. All rights reserved.